It was a bright sunny day. Justine reported that it had been a beautiful sunrise – but I have to report that I missed it! 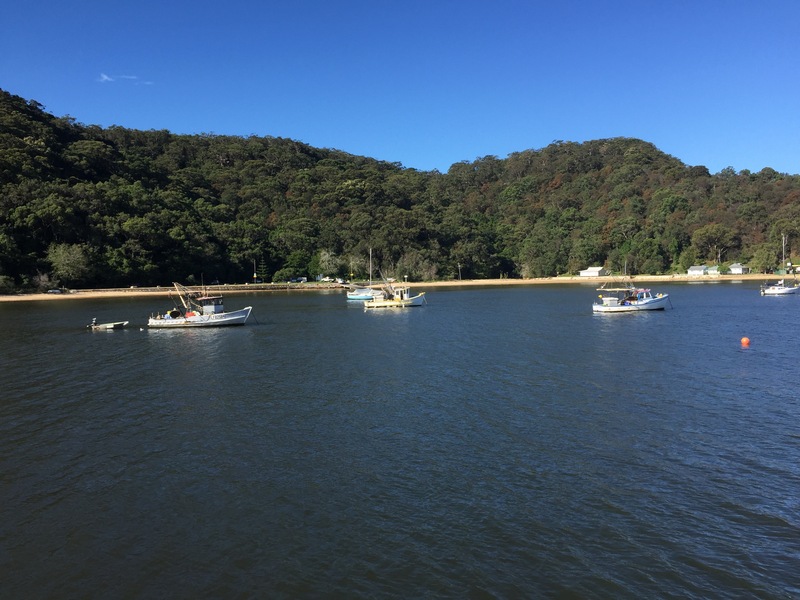 We had arranged to take a trip up the Hawkesbury River. It was something we had intended to do on our last trip, but for various reasons it had not happened, so today was the day. 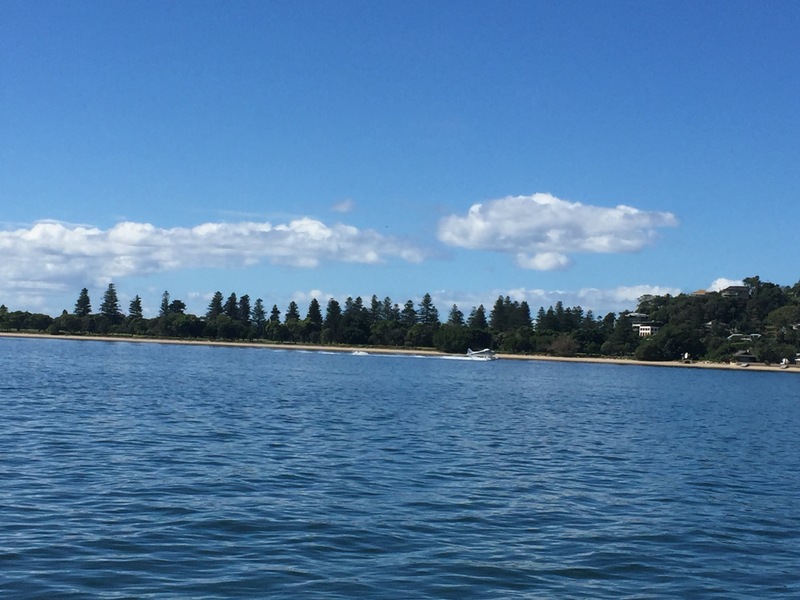 First step was to get to Palm Beach Wharf, a good half an hour further up the coast and the point from which we took our seaplane ride over Sydney Harbour on our last visit. 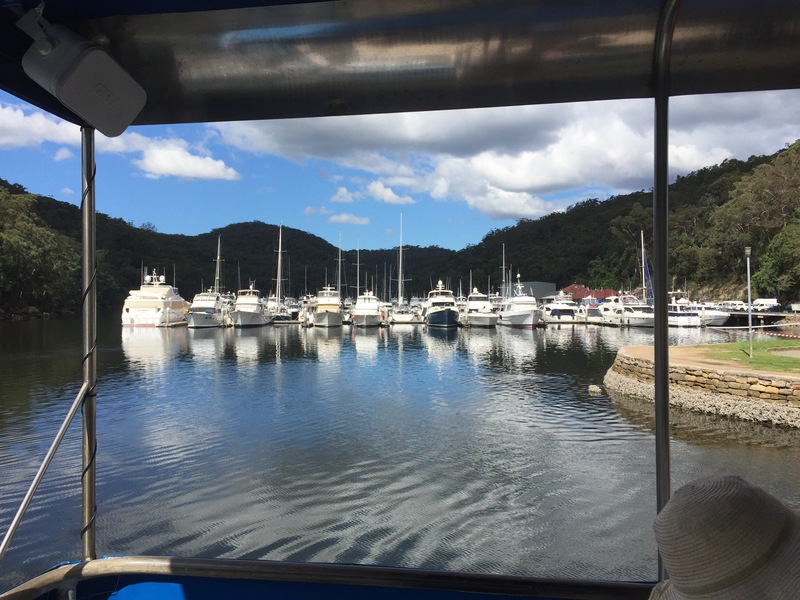 Our conveyance was a small boat, The Merinda, that travels up the Hawkesbury River calling in to a number of small communities every day. We pulled away from the moorings, in time to see the sea plane just taking off. 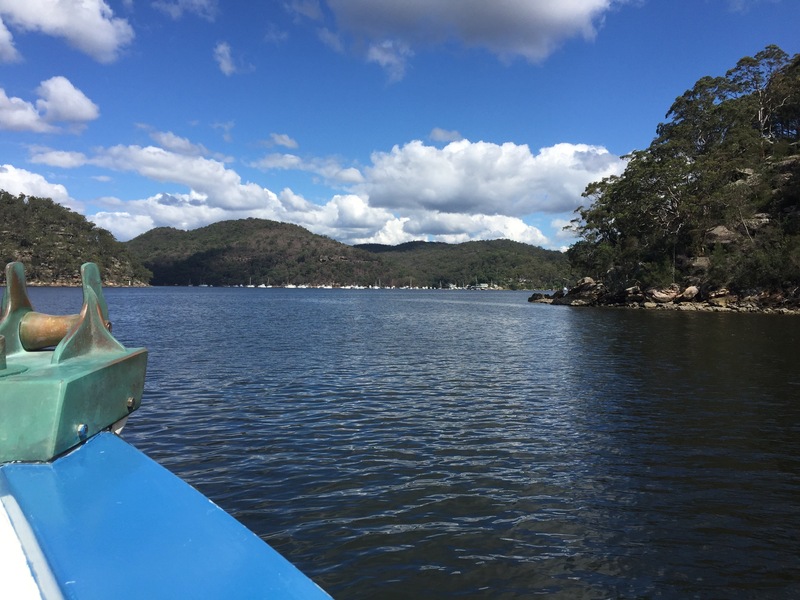 We then started our journey to leave the ocean and make our way up the River, backdrop to the famous Secret River novel. 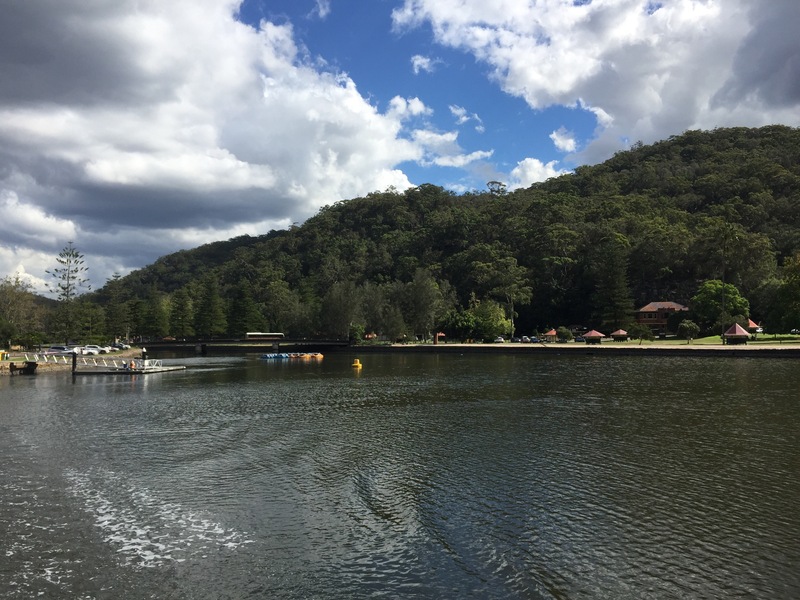 The Hawkesbury is the longest river on the east coast of Australia. We sat in the prow of the boat, the sun shone. Isolated beaches appeared and were passed. 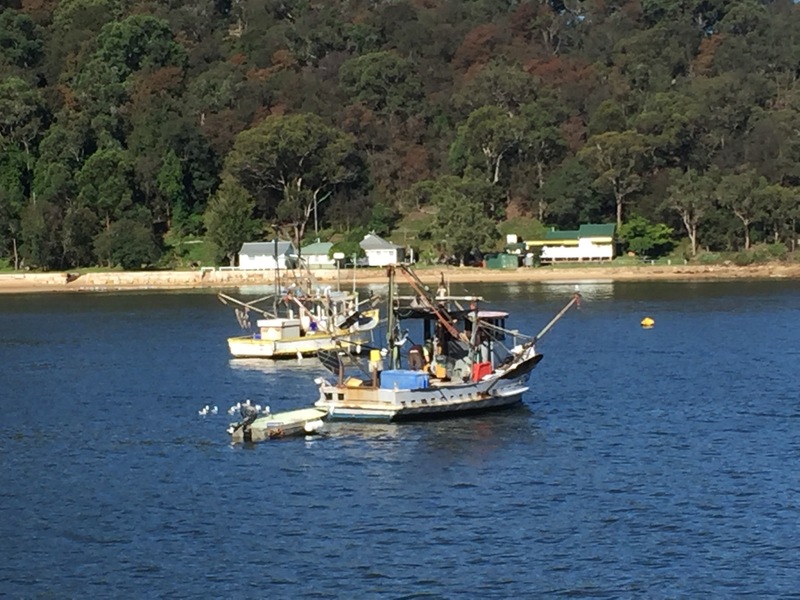 Pelicans trailed fishing boats. Large jelly fish appeared under the serface of the water. Little nippy motor boats dotted the route. There was the soft murmur of voices as people chatted while watching the scenery unfold. Rocky outcrops appeared between the trees that came down to the waters edge. After about an hour we arrived at our first stop off point. The boat slowed and pulled into the jetty at Pattonga. There being no-one wanting to get on or off, the engine barely missed a beat before it backed away again and we continued our progress down the waterway. Our next stop was Cottage Point, an area of very expensive houses. A wonderfully sited restaurant is located to the side of the small harbour area, right on the waterfront. A number of our fellow travellers were obviously heading there for lunch. Other diners had obviously arrived there under their own steam, given the boats moored there. 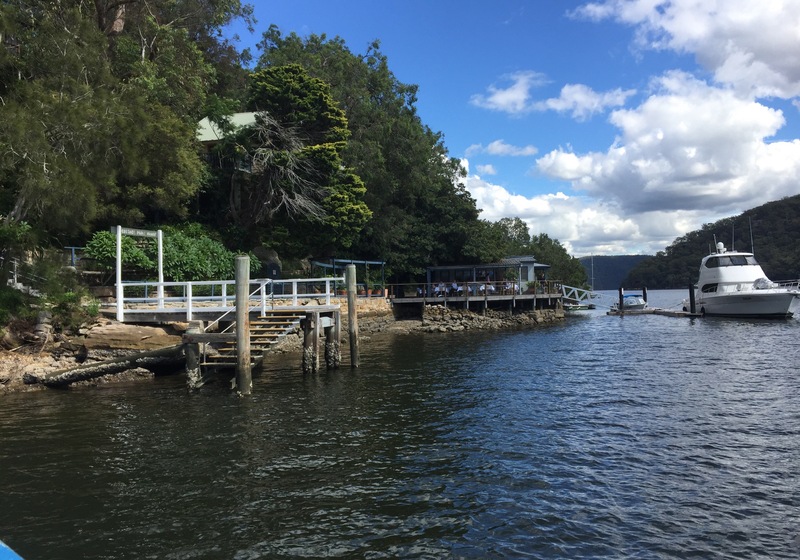 We were later to see the Seaplane bobbing on the water, obviously delivering or collecting restaurant goers……..
Our final destination was Bobbin Head Bay. This had quite a sizeable marina, with a number of boats of all sorts parked. 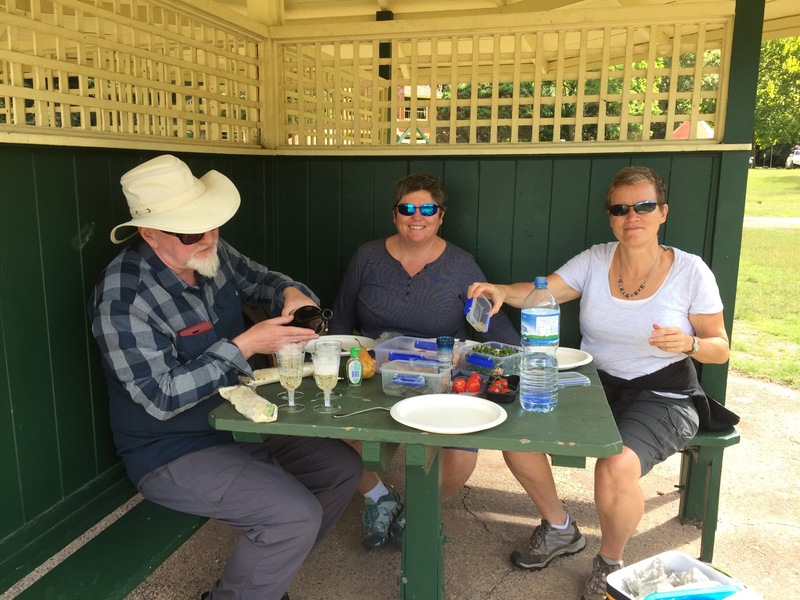 This stop had a much broader outlook, including a grassy area with eating pavilions where people could picnic. We headed there with our packed lunch and another bottle of Devils Corner fizz. We had an hour before our boat would leave for the return journey to Palm Beach. At 1.45 we clamboured back on board. Our return journey was a bit more breezy. We sat on the upper deck of the boat and whiled away the afternoon in quiet conversation. A great way to spend an afternoon! All too soon we were back at Palm Beach. A great time had been had by all. Wendy and Sarah delivered us back to Wightman Towers. It was sad saying goodbye to them. It is the last time we will see them on this visit. We just love spending time with them. A bientot! Back at the Castle, Coco went off for her last dance session and we settled down to a quiet evening prior to an exciting last Friday. The area looks like a boater’s paradise.